For a deck that your family can love for decades, tailor your design as much to your lifestyle priorities as to your sense of style. Personal style plays a major role in so many of our expenditures, but in the backyard, we often settle for a plain wooden platform with zero personality. Why? Deck styles vary as much as hair styles: You can create an outdoor space for your home that closely reflects your preferences, both practical and aesthetic. Prior to construction, ensure that your planned deck complements the topography of the property around your home. Accommodate for standing trees and sloped terrain, as well as for storm drainage. Also, think about the storage opportunities you might gain, either beneath or on the surface of your deck. Ask yourself how your family is likely to use the space. If entertaining is on the menu, then locate your deck near the kitchen to facilitate serving and cleanup. Have either pets or kids? Then install a safety railing around the perimeter. In other words, your approach should be sensitive to your lifestyle priorities. Of course, your house style bears consideration, too. 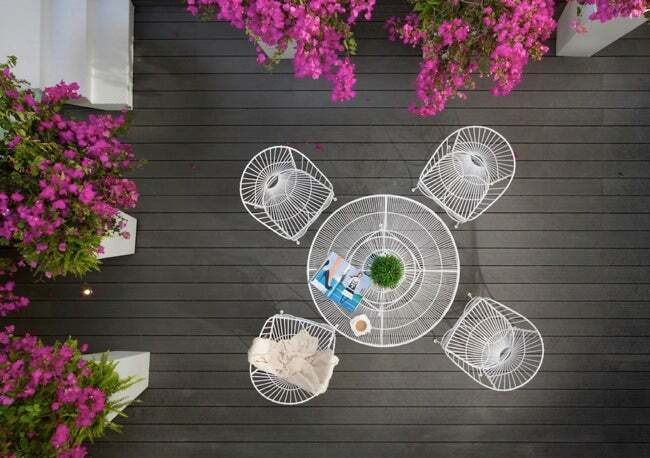 Is a modern deck the right choice for a Victorian home? Perhaps not. But there are no easy answers. 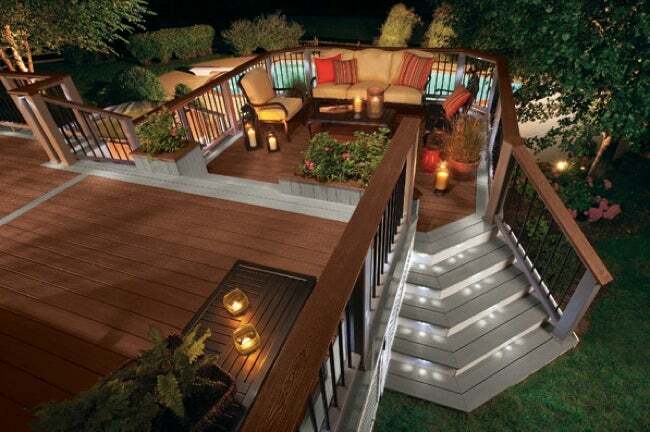 When it comes to deck design, the ideal solution differs from case to case. Read on for five deck ideas that will help you identify the best approach for your backyard. 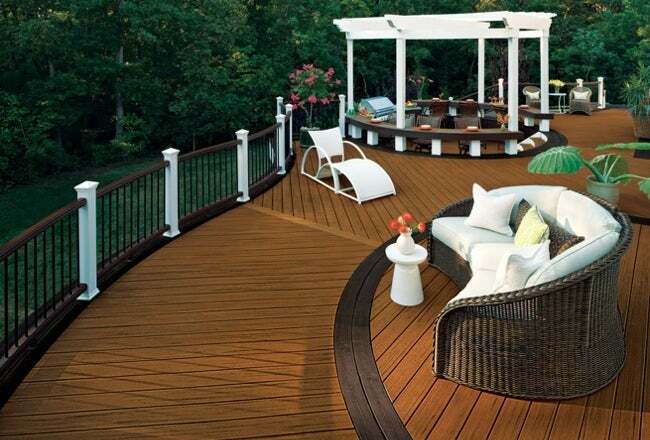 A traditional deck is square or rectangular, made from pressure-treated wood, redwood, or cedar. Generally speaking, decks aren’t cheap, but of all the styles discussed here, this is your least expensive option. Expect to power-wash the deck once a year and to seal it every one or two years. Maintained properly, yours can last as long as 30 years. Though not visually stunning to begin with, wood decks are enhanced by a stand-out stain or paint color, or by the addition of decorative caps to the posts that provide structural support. If you think of the deck as a place to escape the burden of work, including the work of home maintenance, then you may wish to opt for a low-maintenance deck material, such as vinyl, plastic, or composite (the latter being a mix of wood and plastic). Low-maintenance decking requires little more than occasional sweeping. 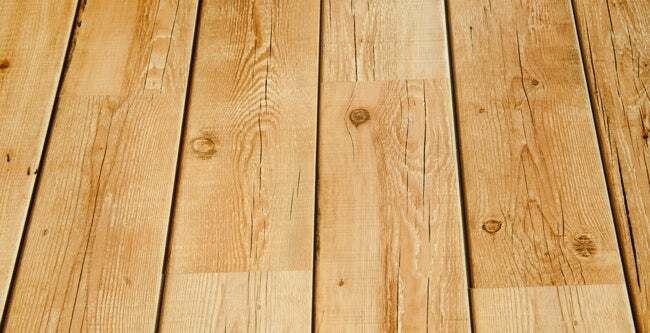 Compared to wood decks, these are more expensive to build, but you’ll save money over time not having to invest in repair, as inorganic boards neither rot nor splinter. As a further safeguard against maintenance, install an awning over the deck to protect its surface from falling leaves and debris. Modern decks are all about clean lines and muted color palettes. They are constructed from a range of materials, but when made of wood, only a select few species are typically used: teak, ipe, mahogany or Brazilian cherry. Many modern decks are identifiable by their railings—or their lack thereof. A free-floating polished wood platform can look rather Zen-like. Meanwhile, perimeters composed of steel cables or glass panels deliver equally sleek contemporary flair. Split-level decks enable you to have multiple outdoor living areas. They are especially suitable for yards with severe slopes, in that each subsequent deck level can step down with the angled terrain. Like modern decks, split-levels are built from a range of materials, with or without railings. 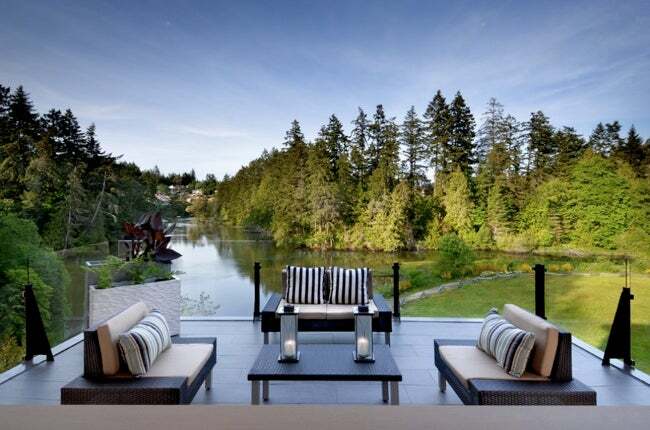 An advantage of tiered deck designs is that you can have the best of both worlds: While leaving one or more levels open to the air for sunbathing and other pursuits, you can screen a different tier to create a shady, bug-free outdoor room. Perhaps more than any other activity, what Americans do on their decks is grill. 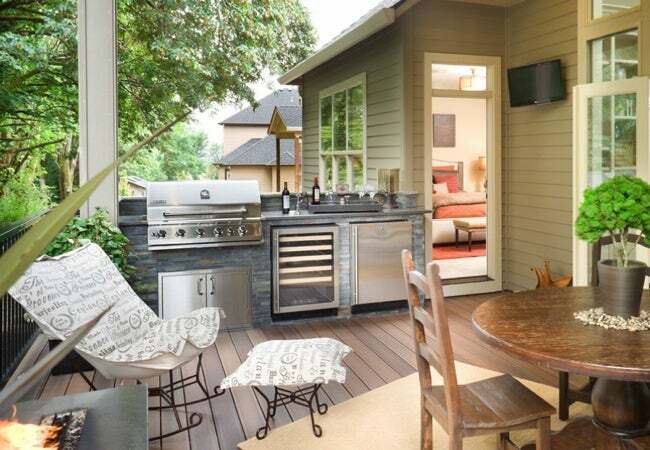 If you’re tired of getting by with a rickety and rusty old barbecue, consider spicing things up with an outdoor kitchen. No matter what your deck is made of, concrete is the ideal material to use in constructing al fresco cook zones. Concrete is heavy, though, so be sure your deck supports are strong enough to hold the additional weight. For the family that enjoys hosting get-togethers, going out of you way here can be well worth the hassle. Indeed, you may never visit your indoor kitchen or dining room again! Bon appetit.